By the beginning of 2014, science had found the Higgs boson (a.k.a. “the God particle), put a rover on Mars, and created a robotic hand that allows amputees to feel sensations. Yet somehow the Stone Spheres of Costa Rica remain a complete mystery, with little more than educated hunches about their significance to the ancient peoples of Costa Rica. We’d seen some stone spheres during previous trips to Costa Rica– usually individual stones displayed prominently in the center of a town’s park. 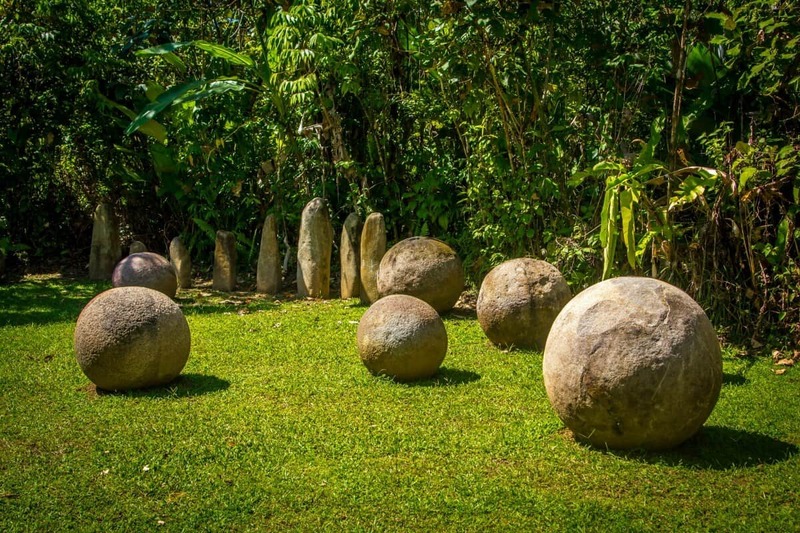 But it wasn’t until we visited the Finca 6 Archaeological Site in Palmar Sur that we began to understand how important these mysterious orbs are to researchers trying to learn more about Costa Rica’s pre-Columbian history. When we visited in December, the Finca 6 Archaeological Site had not yet been opened to the public. 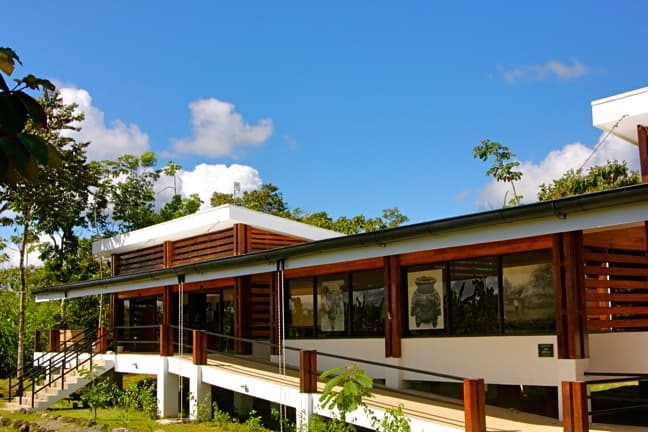 The staff was busy putting the finishing touches on the brand spanking new museum before a visit by Laura Chinchilla, the President of Costa Rica, the following day. Fortunately, as journalists, they allowed us to explore the site, which lies in the heart of the Diquís Delta region. 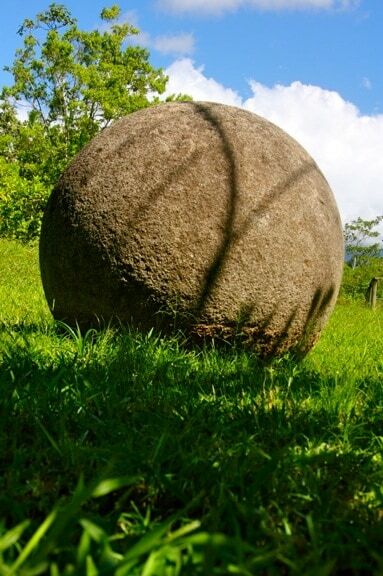 There are around 300 stone spheres in Costa Rica, and over 10% of them lie on this 10-acre property. Known locally as Las Bolas, the Diquís Spheres range in size from a few centimeters to over 6 feet in diameter, can weigh up to 15 tons, and are said to be almost perfectly round. 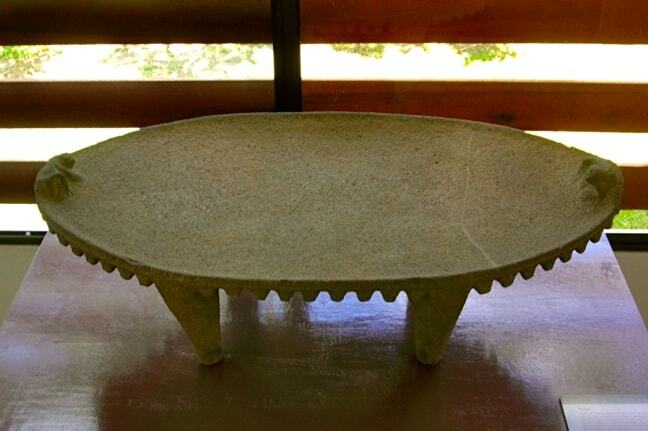 Carved from gabbro (rock formed from molten magma), the orbs have been found all over southern Costa Rica, buried with pottery dated to 200 BC-600 AD, as well as with sculptures dated to around 1000-1500 AD. But the Diquís culture disappeared sometime after the Spanish conquest in 1502, and their spheres were lost to history for more than 400 years. 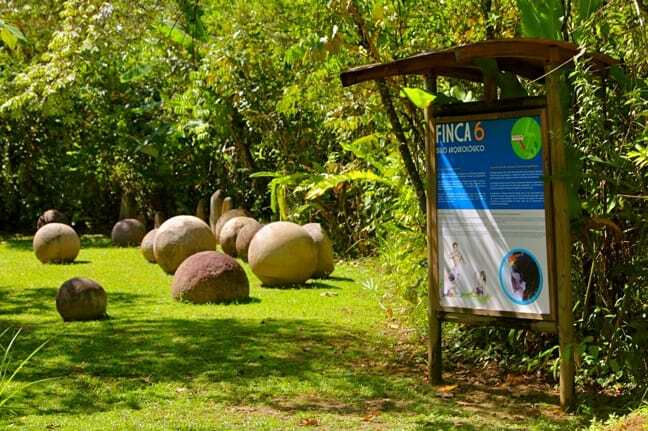 The Stone Spheres of the Finca 6 Archeological Site were discovered during the agricultural boom of the 1930s, when the United Fruit Company cleared this jungle land to make way for banana plantations. Using bulldozers, the workmen clumsily pushed these ancient artifacts out of the way, damaging many of them in the process. After rumors circulated that there was gold in them there globes, workers drilled holes into the core of many and blew them open with dynamite. Some of these spheres were eventually put back together again, and are now on display at the National Museum of Costa Rica in San Jose. Science soon took an interest. Doris Stone, the daughter of a United Fruit executive, published an article about them in 1943. Her story drew interest from noted Harvard archaeologist/ anthropologist Samuel Kirkland Lothrop, whom Stone directed to the Diquís Delta. The results of Lothrop’s research were published in 1963’s Archaeology of the Diquís Delta, Costa Rica. By 2010, University of Kansas researcher John Hoopes was evaluating the spheres’ eligibility as a protected UNESCO World Heritage Site. 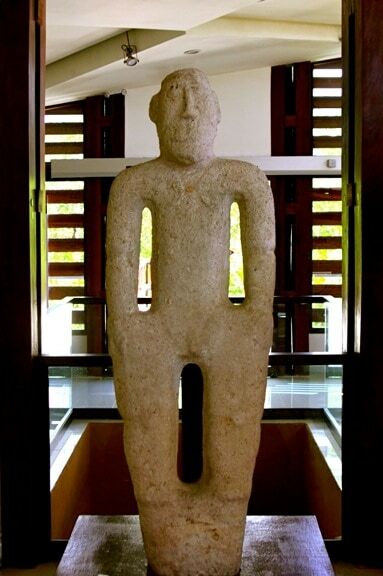 Under the protection of the National Museum of Costa Rica since 1990, the Finca 6 Archaeological Site is seriously worthy of UNESCO consideration. It has dozens of ancient stone spheres of varying sizes spread across its 10 acres, as well as two 30-meter wide artificial mounds (built out of river stones) believed to have elevated the dwellings of elite members of the Diquís society that once called the property home. This is one of the few places in Costa Rica where archaeologists have found stone spheres that were clearly associated with structures. It’s also one of the few places where they’ve found well-preserved spheres still in their original location. For a country that doesn’t have nearly as many archaeological attractions as, say, Belize and Guatemala, that makes Finca 6 a VERY big deal! Under the direction of the National Museum’s Francisco Corrales and Adrian Badilla, 12 years of research on this property have provided a mixture of insight and intrigue regarding Diquís culture. Archaeologists believe that the spheres were created by specialized artisans, using stone tools such as hammers and chisels to carve the basic shape, then smoothed out and polished. In some cases, you can see drawings that were carved into the surface. Though many of the stone spheres were moved, researchers have found that they were often arranged in lines or triangles. But Finca 6 revealed two groups of stone spheres in a straight line, parallel to each other, oriented east-west and approximately 130 meters apart. But why? There are no definite answers, but there’s a LOT of mythology and conjecture surrounding these icons of Costa Rica’s cultural identity. Some believe that the stones came from Atlantis, and were polished smooth by the water. Others believe they’re the work of aliens. Local legends hold that the ancient natives had a powerful potion that could soften rock. In the indigenous Bribri culture, it’s believed that Tara (or Tlatchque), the god of thunder, used a giant blowpipe to shoot these cannonballs at the gods of winds and hurricanes in order to drive them away. But the more believable theories suggest that the stone spheres of Costa Rica had religious and/or astronomical significance, possibly aligned to represent the shapes of constellations and used in rituals. What’s certain is that they were arranged very precisely, and their use at the entrance to homes with elevated platforms suggests they were associated with high status. Perusing the various other archaeological relics displayed in the Finca 6 site’s new museum as workers painted and cleaned in preparation for President Chinchilla‘s visit, I found myself still hungry to learn more about the Diquís people: Who were they? Why did they make the massive stone spheres? How did they get them into place? What did it all mean? 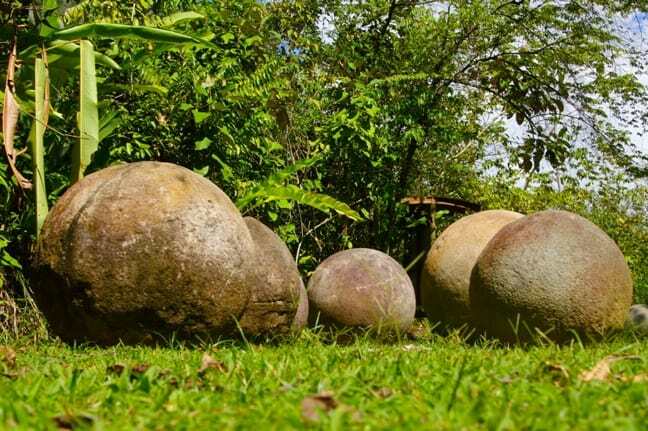 In a land where culture often seems to take a backseat to nature and wildlife, the Stone Spheres could offer valuable clues to Costa Rica’s pre-Columbian past. Here’s hoping UNESCO will bestow World Heritage protection on these ancient archaeological relics soon. Doing so will ensure Finca 6 attracts more visitors interested in ecotourism in Costa Rica. In turn, it’ll help generate the sort of revenue that could finance Corrales and Badilla’s research.